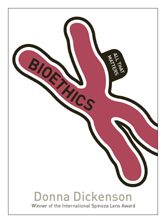 Bioethics: All That Matters, explores new developments in biotechnology like genetics, stem cell research and artificial reproduction arouse both our greatest hopes and our greatest fears. Many people invest the new biotechnology with all the aspirations and faith once accorded to religious salvation. 1 Should we do whatever science lets us do?